During the mid sixties, John trained at Sir John Cass School of Art, London. John then went on to work for several London advertising agencies before taking up painting full time in '86. John works in a variety of different mediums, but mainly in watercolour, oil and pastel. 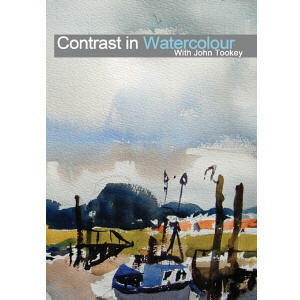 His watercolours are particularly striking combining spontaneity, freshness and a wonderfully direct approach. John does most of his paintings using just two brushes. John has had an extremely successful painting career having shown with Royal Institute of Water colourists, New English Art Club, Royal Oil Institute and the Pastel Society of which he is a member. Notable Prizes include: Brandler Galleries Award (RWA) Pastel Society of Canada Award (Pastel Society) Buzzacott Award (Pastel Society) 2008. 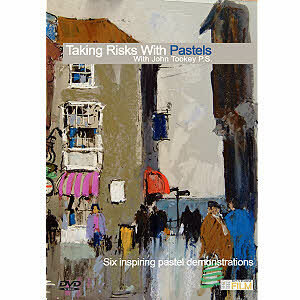 John is also a member of the prestigious Pastel Society. John is also a keen writer having written and contributed to Travel Books for Gordon Fraser Books and contributions to several leading art magazines.